Kids love to exercise and parents love seeing their child achieve a goal. Some kids are enduring 3 different types of sports a day, whilst others just enjoy school sports or the occasional activity. Kids love to exercise, and parents love seeing their child achieve a goal. 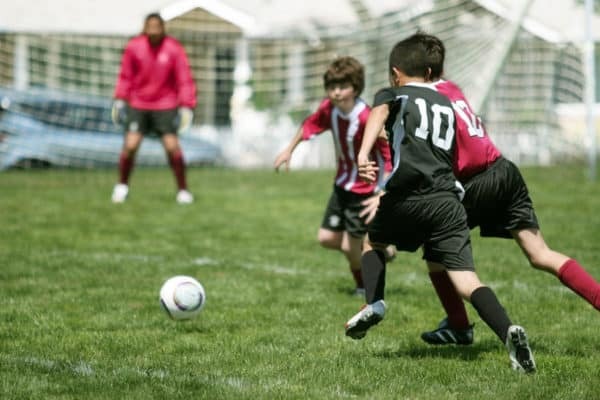 Some kids are enduring 3 different types of sports a day, while others just enjoy school sports or occasional activity. I wish I could say that seeing children for treatment is because they want to improve their flexibility and maintenance of their sport. Unfortunately, its generally because they are injured. Therefore the question here is: if their injury has come on for no reason at all…what’s happening in their body? There are 3 stages of development: early childhood, middle childhood and then adolescence. (Malina). This blog is about youth. With relation to how and what, the skeleton grows first which is followed by legs and arms which increase in length. The growth spurt begins, and the trunk grows very quickly. (Growth spurt is when the body rapidly increases). This is for the average child, but also if they have been suffering from an illness, this may be delayed and then play catch up. What is an epiphyseal plate? 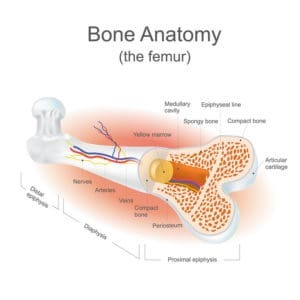 During bone growth, the epiphyseal plate plays a significant part in this process. If you look at the picture of the bone placed next to this text, please zoom in on two areas the diaphysis and the epiphyseal plate. “the activity of the epiphyseal plate is the only way that the diaphysis can increase in length. Cartilage is replaced by bone on the diaphyseal side of the plate. In this way, the thickness of the epiphyseal plate remains relatively constant, but the bone on the diaphyseal side increases in length. When adolescence comes to an end, the epiphyseal plates close, rather than the epiphyseal cartilage cells stop dividing and bone replaces all remaining cartilage. The plate fades, and then a line remains. Bone length stops completely” (Tortora et al., 2011 p.193). There are many benefits to exercise for children. Here is a breakdown. b. Encourages the body to develop better. By exercising while young, it’s a great way to set routine encouraging kids to stay active after they leave school and after that into their adulthood. With the effect of cardiovascular girls aerobic power is lowered by 15% by the age of 14, and then it plateaus and the same effect with strength. With boys, it’s a different thing altogether because it keeps increasing up until the age of 18 years of age and again with power …they just get stronger! Kids and young adults get stressed, also can have anxiety issues, so it’s a great way to release these and also be part of something, a team and great for building better relationships and achieving the endorphins moving (feel good factor). Sports encourage memory gain and coordination. Keeping the brain active, stimulating more blood flow to the brain, which is excellent for exams! So it all sounds really encouraging, is sporting activities suitable for kids/young adults….or is it?!! Referencing: bogin, B (2015). “Human Growth and Development”. Elsevier, p287 [online].